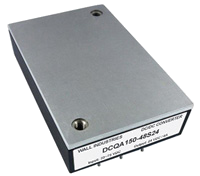 The DCQA150 series of DC/DC power converters provides up to 150 Watts of output power in a 2.28” x 1.45” x 0.5” industry standard quarter-brick package. This series has single output models with 2:1 wide input voltage ranges of 8.5-22VDC, 16.5-36VDC, and 33-75VDC. Some features include high efficiency up to 92%, 2250VDC I/O basic insulation, and remote ON/OFF control. These converters are also protected against input under voltage, short circuit, over voltage, over load, and over temperature conditions. All models are RoHS compliant and have UL60950-1, EN60950-1, and IEC60950-1 safety approvals. Several different options are available for this series including negative logic remote ON/OFF, heatsinks, and thru-hole inserts. 3. 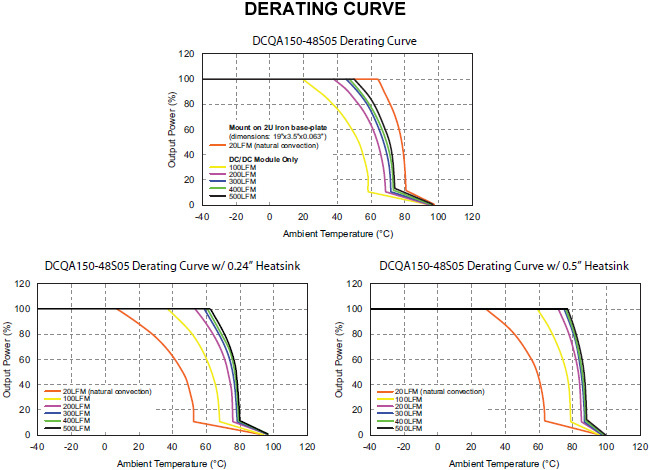 The DCQA150 series can only meet EMI Class A or Class B with external components added. Please contact factory for more information. 4. An external input filter capacitor is required if the module has to meet EN61000-4-4, EN61000-4-5. We recommend connecting 2pcs of aluminum electrolytic capacitors (Nippon chemi-con KY series, 220µF/100V). 5. Both positive logic and negative logic remote ON/OFF control is available. Positive logic remote ON/OFF comes standard; for negative logic remote ON/OFF add the suffix “R” to the model number (Ex: DCQA150-48S24R). 7. M3 x 0.5 threaded-thru inserts come standard. 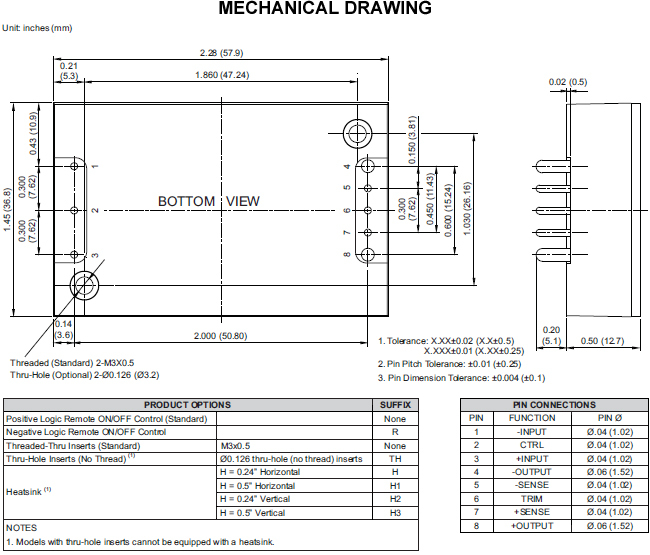 For Ø.126 thru-hole inserts add the suffix “TH” to the model number (Ex: DCQA150-48S24TH). 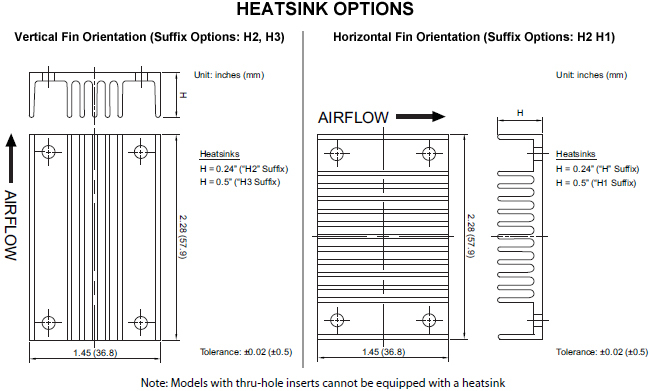 Models with thru-hole inserts cannot be equipped with a heatsink. 8. BASE-PLATE GROUNDING: EMI can be reduced when you connect two screw bolts to shield plane..